New Zealand Prime Minister Jacinda Ardern has condemned shootings in two Christchurch mosques as an “extrodinary and unprecedented act of violence”. 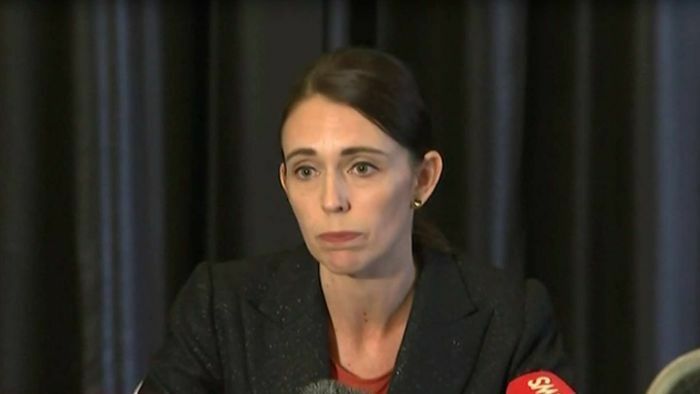 Ms Ardern spoke to reporters about the situation and advised people to remain indoors and “remain in lockdown” until more information by police as the situation is “evolving” across multiple sites. Here is the full transcript of what she said in a press conference. Presently, the police do have one suspect in custody. However, there could be others involved. Also, there are multiple scenes involved in this incident as well and police will be giving more details as they can as the situation unfolds. Whilst I cannot give any confirmation at this stage around fatalities and casualties, what I can say is that it is clear that this is one of New Zealand’s darkest days. The person who has perpetuated this violence against us is not. They have no place in New Zealand. There is no place in New Zealand for such acts of extreme and unprecedented violence, which it is clear this act was. My thoughts also to those in Christchurch, who are still dealing with an unfolding situation. The advice from police continues to be that people remain indoors. I acknowledge that may mean that some families are separated, but please continue to listen out for information as it comes to light that’s been directly provided by the New Zealand Police with further information. But as I say, please remain in lockdown. We are potentially still dealing with an evolving situation. And again, as I say, across multiple sites. Please be assured, though, the police are actively managing the situation. Christchurch Hospital is dedicated to treating those who are arriving at the hospital as we speak as well. It’s my expectation that once I arrive and have been briefed, I intend to speak again publicly after that point. I’m happy to take questions. What can you tell us about how, when and where the events unfolded? Look, it’s only a matter of a few hours ago, of course, that I was advised of the situation and that it was an evolving situation. Again, public reporting took place not too long after events began unfolding. But as to the precise details, at this stage I’ll wait until I have a bit more precision from a briefing directly from the police when I arrive in Wellington. But you have confirmed it’s not an isolated incident? There were multiple areas where this took place? At the moment, the police, although they have stated that they have one offender in custody, they have advised that there may be other offenders. They are dealing with multiple scenes as well, so I can confirm that. And I acknowledge that you aren’t in a position to confirm deaths or injuries. What can you tell us about that? No, I’m not currently in a position to confirm the number of deaths or injuries. But I have to acknowledge, people can see images live from Christchurch, it will be obvious to them that this is a significant event, and I can tell you now this is, and will be, one of New Zealand’s darkest days. What do we know about the offender, if anything? Is there any confirmation around age, ethnicity or even nationality? I’m not in a position to give those details at this stage. Police, as I say, have apprehended someone. They are in custody as we speak. But I’m simply not in a position to give details around that individual, that suspect, at hand. Is there still a potential for other suspects still out there? At this stage, the police are continuing to advise those who are in the area to remain indoors. They have said that they could be dealing with other offenders. That’s why they, of course, are taking the approach of ensuring people’s safety. And so until people hear otherwise, they are asked to listen to the advice they have been given directly by the New Zealand Police. The nature of the crime, would you describe it as a hate crime? I would describe it as an unprecedented act of violence, an act that has absolutely no place in New Zealand. This is not who we are. Are you able to expand on why, any reason, as to why it may have occurred? Is there any indication around that? Well, certainly, it has occurred in a place where people should have been expressing their religious freedom. Where they should have been in a safe environment. And they have not been today. There is no place in New Zealand for such extreme acts of unprecedented violence. The people who were the subject of this attack today, New Zealand is their home. They should be safe here. The person who has perpetuated this violent act against them, they have no place in New Zealand society. If you’ll excuse me, I’m very happy to update you again once I’ve met with agencies upon my landing. Thank you.